Expressive or creative therapies, such as drama therapy, are a unique way to deal with problems, express yourself, set goals and gain confidence. Amongst the expressive therapies, drama therapy offers the best forum for teens to try on new roles, learn new ways of relating and express how they feel. Drama therapy takes a unique approach to helping teens by using drama and/or theater techniques, including improvisation, role-playing, using puppets and acting out stories. It is an active, experiential form of creative therapy that helps teens gain self-confidence and explore new problem-solving skills. 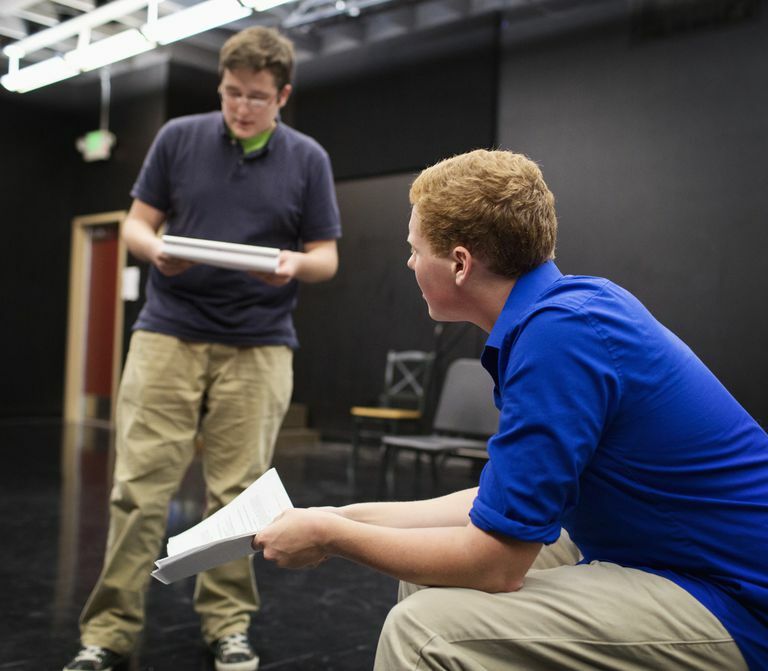 Drama therapy combines drama and psychotherapy methods to offer teens new ways to express what they are thinking or feeling in order to cope more effectively with behavioral and emotional problems. No previous experience or dramatic training is needed for a teen to participate. A Registered Drama Therapist (RDT) facilitates this specialized type of therapy. You're having a significant conflict with a sibling, so you're asked to role-play a scene in which you pretend to be your sibling and speak from their perspective. In a group setting, each teen acts out a role they take in the group, such as someone who exhibits leadership or someone who is scapegoated by others. Where Is Drama Therapy Offered? According to the North American Drama Therapy Association, you can find Registered Drama Therapists in outpatient and inpatient mental health settings, at schools, shelters, community centers, after-school programs, multicultural centers, group homes, private practice, hospitals, wellness centers, hospices, home health agencies, early intervention programs and rehabilitative facilities. A master's degree in psychology or a related field, as well as coursework in drama therapy, is required in order to become a registered drama therapist. RDTs must also go through a supervised internship, have experience in theater, and be board-certified in drama therapy. Drama therapy is just one form of expressive or creative therapy. There are others, including music therapy, writing therapy, art therapy and dance therapy, that can help draw on your teen's creative abilities and personal expression. How Does Art Therapy Work for Patients?